When you’re decorating your home, you want to fill it with furniture that suits your tastes, complements your home decor and completes your design. 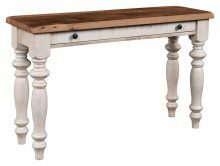 If the style you’re searching for is simple, rustic and authentic, our Reclaimed Amish Living Room Furniture will fit perfectly into your home. 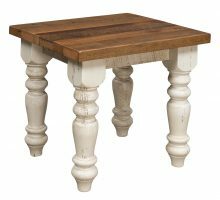 Made of high-quality reclaimed barnwood expertly crafted into a wide selection of high-quality pieces for your home, our Reclaimed Amish Furniture offers you the functionality, simple style, durability and rustic charm you’ll love. 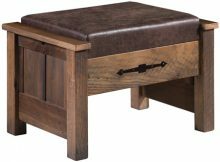 When you’re looking for a unique, rustic style to furnish your living room and add warmth to your home, our collection of handcrafted Amish furniture offers you a variety of styles and pieces to suit your design, your space and your home needs. Choose from a beautiful range of expertly made coffee tables, end tables, chairs, loveseats, sofas, TV stands and more in multiple designs to fit your home. 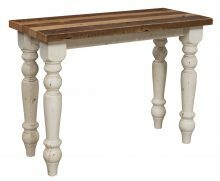 Our reclaimed barnwood pieces will bring you rustic style to last for years in your living room. 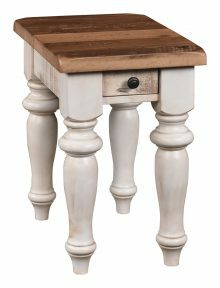 When you’re looking for premium quality, gorgeous designs and furniture to last you a lifetime, AmishOutletStore.com has a stunning collection of handcrafted furniture pieces to suit your home. All of our furniture is carefully crafted by Amish experts with generations of family experience and built to last for years to come. 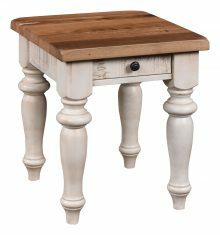 Purchase your Reclaimed Amish Living Room Furniture online today to save up to 33% off retail prices.